Any entrepreneur will tell you how they toyed with many business ideas, how they employed trial and error because they did not know which one cold actually work out for them. In many cases those ideas that looked like they were the brightest end up failing and not seeing the light of day. The one important thing that most people have learned is that they did not have to reinvent the wheel in order to make it great in the world of business. You can think of great businesses such as McDonald’s that did not have to create something new in order to be successful but instead found ways to improve what already existed. Profitability: Whatever idea you have that you want to try, you must do your math well such that final cost of your product or service will be reasonable and at the same time ensure that you retain a profit. You must have seen many initial inventions that are so expensive it actually limits their entry into the market. Your key to success therefore is getting the price right; plan your production carefully so you can sell your stock without much ado. Insist on quality: There are cases where small business people get temped to make compromises on quality especially when figures begin to stack up. One thing you must remember is that when it comes to business, your product or service is your lifeline and its quality will have a direct bearing on your reputation. You need to test your product or service thoroughly and whatever you come up with; you must ensure that the quality is at its best. Creative versus practical: There is a delicate balance to be maintained during the production especially regarding the creative process. There are many times when the initial flash that actually set the entire ball rolling gets lost when people are trying to balance creativity and practicality. If you have been endowed with an idea, you will be better off getting a qualified technical person who can create the balance between what and how. Having a great idea is one thing and having the necessary expertise to bring it to existence is another; you may want to create a partnership with the person who can link your idea with reality. Perseverance is crucial: One thing is for sure, Rome wasn’t built in a day. You will need to spend sufficient time before your idea becomes accepted even by the most brilliant minds, including the people that it is suitable for. This means that you don’t just give up because nice things have this habit of coming to only those people who can wait. If you have dome your bit in researching the idea and you have taken it through all the necessary checks, stand your ground and don’t throw out your idea because someone you really had built hopes on did not accept it. Be open to change: Remember that even the best ideas have been developed over time. Don’t rest on your laurels because your idea was accepted but keep researching so you are always one step ahead; talk to your consumers and keep an eye on competitors with business software as you move along. In the modern-day economy, business apps are essential tools in organizations’ operational quivers. Gone are the days when a company would rely solely on internal accounting software and processes to run its activities. In a global marketplace featuring increased competition, businesses rely on best business intelligence software solutions to do everything from tracking time and managing projects to generating sales, boosting brands, addressing operational risks and improving internal processes though it still pays off to have someone with their online communications degree working for you. Various apps help organizations achieve their goals, including Evernote, FormMobi, Google Drive, LocalVox and Expensify. Evernote enables companies and entrepreneurs to remember noteworthy items, especially salient projects and deadlines. The app maker says the tool helps people recall everything; making life manageable for clients and helping them gather and track pertinent items. With Evernote, users can synchronize all their data in a single place, accessing it on platforms as varied as mobile devices, desktops and tablets. Users also can recall every noteworthy aspect of their business or personal lives, saving exciting bits of content they see online, be they audio, photography or video. With Evernote, users can save their favorite pages, perform better research, work with colleagues and friends, and plan trips effectively. FormMobi helps businesses and entrepreneurs gathering and distributing data easily from their handheld devices. The app enables users to create, gather and use information—and embed interactive content if needed. Users can customize forms for their mobile devices and add infographic content, such as CAD sketches, video, audio and photographs. FormMobi also enables users to export their information to any format or store it in the cloud. The app provides a comprehensive array of forms for any job or sector, ranging from agriculture and education to government, general business, finance and health care. According to Google, the Google Drive app provides a safe place for users’ stuff. Google Drive indeed gives users peace of mind when it comes to data security, maintenance and archival. With the app, businesses and entrepreneurs can store information and search it fast by recognized patterns in scanned documents and pictures. The app also enables users to view up to .30 file types—including Adobe and HD video—even if users don’t have the relevant programs installed on their devices. Other features included in Google Drive range from the ability to work offline to social media sharing and searching archived data. LocalVox enables small businesses to implement their marketing strategies, including mobile and online promotion tactics. With a button click, app users can publish important information about upcoming events, products, services and promos, doing so across multiple platforms—such as social media, specialized blogs, email newsletters and local directories. LocalVox also helps small businesses with search engine optimization, via its embedded Google Places listings and organic search functionalities. Expensify helps businesses track operating costs and generate expense reports in a timely and interactive manner. 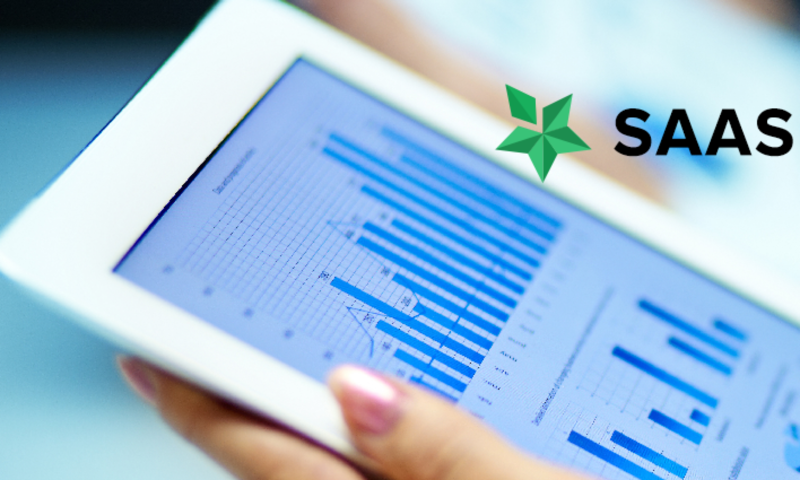 The app streamlines the way corporate personnel report expenses, how senior management approves the costs, and the way the expenses ultimately integrate accounting reports. Key features in Expensify include expenses, receipts, administration, compliance and integration. The expenses feature enables users to quickly add cash, debit and credit card purchases, separating billable and reimbursable expenses from non-billable purchases and accounting. The receipts feature helps corporate personnel capture receipt pictures and sales clips, and automatically match receipts to expenses. This is made easy through smart scanning, receipt forwarding and e-receipt functionality. With the administration feature, users can approve expenses and effectively integrate expense data into accounting reports. If you want to have a great financial future, you may have bought real estate, put money into mutual funds, or have a retirement plan like a 401k, a Roth IRA, or a pension. But did you know that life insurance can potentially help you with financial planning? 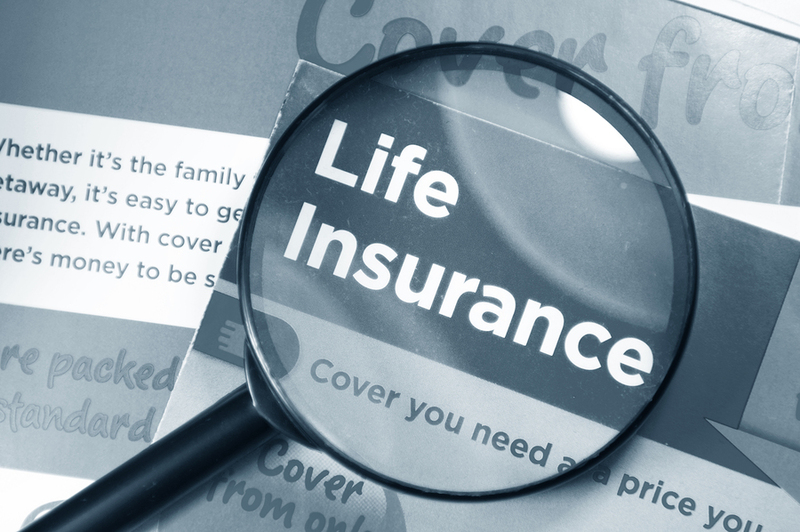 In fact, having a life insurance policy is one of the keys to good financial planning. If you have a mortgage with your spouse, life insurance on both of you can be extremely helpful, especially if you need both of your current incomes to pay the mortgage. Think about what would happen if one of you were to pass away. Chances are, you might not be able to pay the mortgage without the other person’s income. That’s where life insurance can help. You can get a medlife insurance policy that could be worth enough to potentially pay the mortgage off, or at least help with the payments. If both of you have children, and life insurance policies on each other, if you were to both pass away, your children could potentially stay in the house, thus giving them some stability. Without a life insurance policy, your family may have to end of selling your house if you were to pass away. What would happen if you were to suddenly pass away? Did you read about what happened when reality TV star Shain Gandee died, along with his uncle and cousin, due to carbon monoxide poisoning? The 21-year-old star of MTV’s show “Buckwild” did not have a life insurance policy, and his West Virginia family initially said publicly that they would need help from donations for funeral expenses. After a bit of public outcry over the situation, MTV finally agreed to pay for Gandee’s funeral, but not for that of his uncle and cousin, and the family faces $16,000 in funeral and burial expenses for them. Anyhow, this should be a life lesson to think about. What if you were to pass away? Funerals are more and more expensive these days. Does your family have enough money around to pay for your final expenses? In many cases, they do not, which means that they could go into debt in order to be able to take care of such expenses. Or even worse, you may not get a funeral; just a burial in Potters Field or a cremation with no ceremony. If that how you want your family to say goodbye to you? Not having your income could hurt your family. It could mean that your children won’t get to go to private schools or college, or that your spouse may have to get a job that means more money, but less time with your children. That is another reason to consider medlife insurance. Most businesses have their own attorneys or lawyers on salaried basis, and they specialize with the accounts of the company. However, there are times when individuals and businesses that need help from professional bankruptcy lawyers. You need someone or a team of experts that would be proficient in handling all concerns with regard to bankruptcy. This is true whether you’re trying to file Chapter 7 or Chapter 13. One of the most important and very essential assistance needs for anyone would be gaining help on which bankruptcy chapter to file. It is also important that you understand how this process works. When you have all of this information in hand, and with the eminent experts helping you out, you wouldn’t be stripped of everything you have while bankruptcy charges are pressed on you. According to the United States Court site, bankruptcy in March 2013 was down. This study looked at a 12-month period of time. 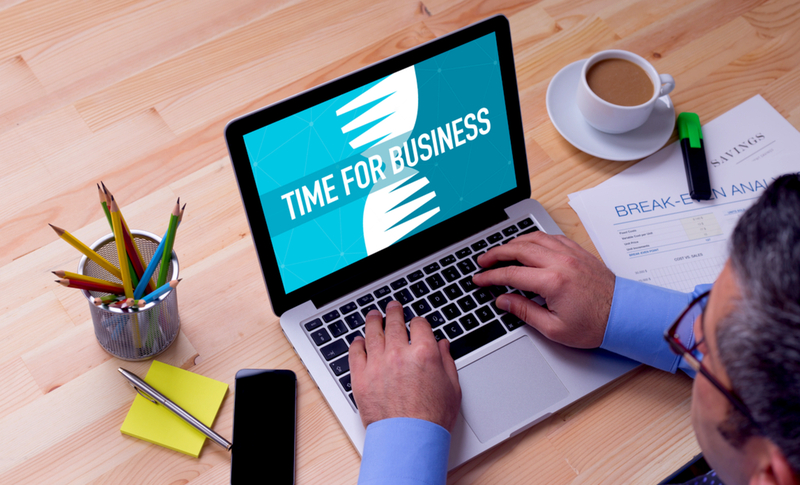 Many are experiencing better financial times, whether they are business owners or not. There are instances, however, when bankruptcy is the best case scenario. Having a qualified lawyer to walk you through the process is essential. This process is often referred to as debt settlement. Although it comes with some negative connotations, bankruptcy can provide you with the new start that you need. There are many different reasons that someone files for this option. Debtors have sometimes faced rising medical bills due to illness. Business troubles are another common reason for bankruptcy. Although there are benefits related to both Chapters 7 and 13, there can be damage to your credibility. Depending on the state that you live in this filing will remain on your credit history from 7 to 10 years. At the end of the process, you can start to rebuild your credit and to come out of your financial troubles. Keeping an eye on your creditworthiness often means filing for bankruptcy. To do this efficiently you will need the assistance of a qualified bankruptcy attorney. Many people try a number of things before they file for bankruptcy. They try traditional debt settlement steps like paying smaller payments. Not all debtors will accept this type of process. In these instances, you will need to find a qualified bankruptcy attorney to assist you. Your search for an attorney will likely include using the internet. Take a look online, search through reputed engines; look at the yellow pages or even the paperback telephone index as well. Even personal referrals from family and friends can help search for the right bankruptcy attorneys too. Most firms these days offer potential clients a free consultation. This is helpful to individuals and business owners. A consultation will help you to learn exactly what the process is and what it involves. Clients will also use this time to ask questions of an experienced lawyer. The Administrative Office of US Courts reported that more than 1 million filings for bankruptcy took place this past year. Included in these were both individual cases and business cases. Having an experienced lawyer is the best way to smoothly get through a bankruptcy. As you search for a bankruptcy lawyer, you should check the credentials of each firm and its lawyers. Do this by checking with the American Board of Certification. They have a website which would have a list of bankruptcy firms and lawyers, experienced and accredited sources you can bank on for your needs. You may tailor your search for a lawyer based upon the type of bankruptcy you’re filing. Some firms specialize in Chapter 7, while others specialize in Chapter 13. There are firms that work with client of both of these chapters. It is very important that you understand the difference before making a decision. Chapter 7 is commonly associated with the elimination of unsecured debt. Some clients will be able to rid themselves of most of this debt through this chapter. Chapter 13 on the other hand, involves both secured and unsecured debts. It is possible to prevent foreclosures and car repossessions with this particular filing. Your lawyer will help you to determine which chapter is best for your case. Before you meet any of the bankruptcy lawyers or the firms, please ensure that your paperwork is in place and you do not hide the real state of your financial ways. Do not wait for the future to unfold, because time is money here, both for you and the bankruptcy firms too. Using the right financial steps needs to become a habit. People who are faithful to these steps not only avoid going back into bankruptcy. They gain the experience that they need to be better financial investors when it comes to viewing money. There are many financial advisors and counselors that assist people with their budgets. You will even find classes that show people how to wisely handle their finances. These are useful resources to not only avoid future bankruptcies. They teach life skills that show how to best use and handle money. Many of the lessons related to this process come from understanding bankruptcy. Your legal team will be instrumental in teaching you how to maneuver through this journey. At the same time you will be able to use this experience for living better in the future. The process of filing bankruptcy can be stressful, along with the period afterwards. Most people, however, feel relieved in knowing that they are on the right track with handling debt. Your legal team will play an important role in getting you through the struggles of filing. It is essential that you confide in them fully and provide them what they need to get you in a better position. Some founders may hold the view that the time necessary to keep the venture capitalist in the loop is better spent on the pressing tasks of acquiring customers, running the business or upgrading product offerings. This is a misconception. Developing good lines of communication with venture capitalists is vital to ensuring that any partnership that may materialize is the best possible fit. In short, it can save time, effort and grief down the road. Transparent and effective communications will give you a positive image and may result in side benefits, like introductions to potential partners, clients, even employees. Remember, venture capitalists are well-connected people. Making the effort to communicate positively with your venture capitalist doesn’t really require large chunks of your time, won’t cost you money or require a lot of effort and by doing this you won’t have so much of your attention drawn away from the nuts and bolts of running your business during a capital raise because you have already established the relationships and communicated your goals with the VCs. This frees you from a last minute scramble and allows you to remain focused on running things. * Is the firm value-added beyond capital? * What is their location? * Do they insist on a board seat? * Is their participation limited to lead investor in a round? * Does their portfolio include companies in your space? Who are they? * What level of interest does the firm hold in your business–now and later on? * Time is saved by avoiding repeating the same questions if you decide to pursue follow-up conversations later. B) you have that information prior to scheduling a second call. * You create a positive impression by remembering the specifics from prior interactions. Post conversation; enter your notes into a spreadsheet so they can be easily updated in any subsequent conversations. When your board decides the time to raise money is now, you’ll be grateful for having done this. In the same vein of staying organized, designating a point of contact, ideally your CFO, to receive the calls from interested investors, both introductory and follow-up, will serve you well. The person chosen should also bear responsibility for aggregating information from other team members who may have had informal chats or spontaneous conversations with investors. This information should be included in the spreadsheet mentioned above. Remember, this is not overly time consuming considering its value as a resource. Founders tend to keep these numbers close to the vest and I get that … investors get it too. That doesn’t prevent you, however, from putting something out there to ramp up investor interest. Consider: We ended the first quarter of 2018 with revenues in 7 figures, a 22% increase over the year-ending 2017—though not overly specific, it can really help readers visualize the direction of your company and it is also helpful if you are trying to do a raise. If you’ve recently boarded an interesting client this is a great place to brag! It can also remind investors of the reasons your product is being chosen ahead of your competitors’. Keep any legal disclosure limitations firmly in mind. New hires can serve a similar purpose, especially if you’ve hired someone away from a high profile competitor. Or, for example, that you have hired a new sales manager to oversee your new team of inside sales reps, this tells potential investors that you are growing. Expects some phone calls! Never lose sight of the fact that investors are well-connected people. They cast a big net. If you have some critical vacancies in your organization that need filled, you couldn’t find a better place to let that be known. Does your company or do your employees participate in startup competitions or charity events that you could highlight? Did your company receive any form of local, regional or national recognition or award? Investors are interested in these sorts of things. It’s telling of your enterprise and your employees. I’m currently in the accounts receivable factoring industry and I engage with more than a few founders, entrepreneurs and businesses. Many of us have been down this rocky road of raising capital and I appreciate the opportunity to share with you some of what I’ve learned along the way.